The $9.23 million acquisition of a former Silverdale Albertsons headlined Kitsap County commercial property sales in March. The Bucklin Hill Road grocery store changed hands March 6 and was rebranded as a Haggen. Properties home to a Silverdale Goodwill store and Bremerton Super 8 motel also changed hands in March. A total of 22 commercial parcels sold that month for a combined $22.7 million, according to county assessor’s documents. Sold by: ABS WA O, LLC. to SPIRIT SPE HG 2015-1, LLC. Description: A 5.4-acre property and 56,000-square-foot store at 2222 NW Bucklin Hill Road. Notes: The buyer was a Spirit Realty Capital company, which leased the property to Haggen. The Silverdale Albertsons was one of three Kitsap stores Haggen is acquiring this year as part of a divestiture required for the mammoth Albertsons/Safeway merger. 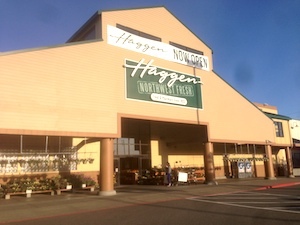 The Silverdale store and a Port Orchard Safeway changed over to the Haggen brand in March. The Port Orchard store is located in Bethel Junction, which recently sold to a California company. An East Bremerton Albertsons is set to transition to Haggen in June. Description: A 2.2-acre property and 61,000-square-foot retail center at 10001 Mickelberry Road NW. Notes: It appears Goodwill bought the property from Daniel Kirby of Olympia. The nonprofit retailer opened on Mickelberry Road in 2009. 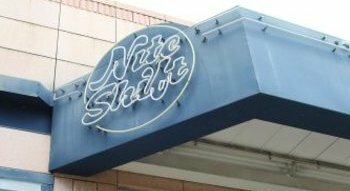 The building was previously home to Linens ‘N’ Things. Sold by: The Peninsula Group, LLC. to Sumit, LLC. Description: A motel on 1.3 acres at 5008 Kitsap Way in West Bremerton. Description: A storage facility on one-third of an acre at 1960 Bay Street. Notes: Bayside Storage appeared in our pages recently for hosting an eclectic flea market on weekends. Sold by: 242 Burwell, LLC. to Denny Hill Residential, LLC. Description: A 5,000-square-foot former tavern built in 1956. Located at 242 Burwell Street in downtown. Notes: Buyers have applied for permits to replace the old tavern with multi-family housing. Sold by: DBSC Holdings, LLC. to Fore Investments, LLC. Description: A 4,200-square-foot bar and grill built in 1900 and adjacent patio on Bay Street. Notes: Moondogs was put up for sale a year ago due to the passing of former owner Darryl Baldwin.